The 36ers added to the legend that is Perth/Adelaide clashes by taking the grand final series to a third game in Perth on Sunday. Both teams will be exhausted, having left it all on the floor. Gary Ervin’s penetration, free-throw shooting, ball handling and outside shooting made him my choice for game MVP. He was two steps ahead of James Ennis and Jermaine Beal. He made 4 threes from 5 attempts, 7 free throws without missing, had 2 steals, 6 assists and at 184 cm he had 5 rebounds. He was everywhere. He just set Adelaide alight from the outset as they shot to a 7-0 lead at the opening buzzer. The game stayed in their control, with a little help from the officiating. Perth’s starters all played a huge number of minutes, while Adelaide shared the load, and the 36ers are entitled to favouritism on that basis. 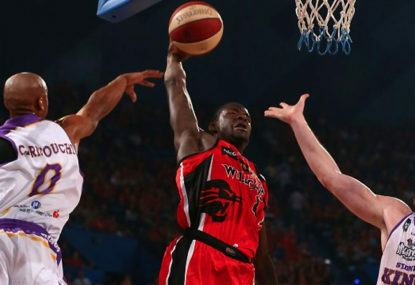 The turnaround time is short, the 36ers have the momentum and the Wildcats have used up many of their nine lives. The officiating in both games has been as soft as I can recall in the NBL. On key plays the non-use of video replays hurt both teams in game 1, and particularly the Wildcats last night. Adam Gibson clearly punched a ball out of Jessie Wagstaff’s hands with 22 seconds on the clock and the Wildcats down by 3. 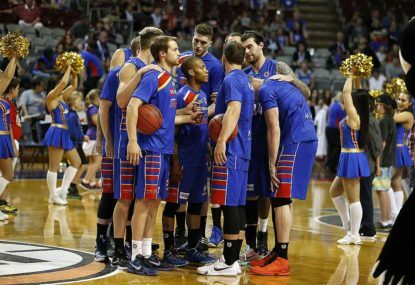 But the officials saw it the other way, and the 36ers went on to a 89-84 heart-stopping win. That was the game ender. That was the pivotal moment, but Adelaide would have been stiff to lose after controlling the game from the outset. Perth just didn’t take their opportunities after that, as fatigue and a manic finish set in. Not that Adelaide were all that secure down the stretch. The Wildcats actually got their first lead of the night late after trailing by 10 at the half (51-41). They stopped Gary Ervin for much of the third and fourth quarters, got a hand on the loose ball and helped out on the boards cleverly through Matt Knight’s 14 grabs, Beal (19) and Ennis (14 monsters) to jump out in front 81-80 with about a minute to play. 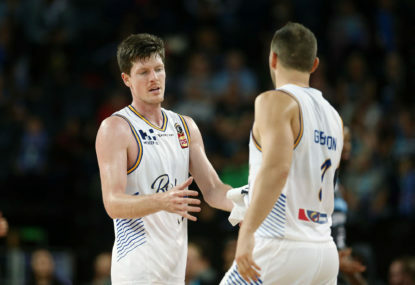 But Beal, Perth’s go-to man, inexplicably choked on two foul shots with the title there for the taking and Knight missed an open 10-foot jumper thereafter to put a lid on the Wildcats comeback. We forget sometimes that these guys are not in the NBA. There is a perception in the NBA that prospects like Beal and Ennis can’t yet execute all the plays required for the big leagues, which is why they are down here. There is also an expectation that they must dominate the NBL. But when it comes down to one game, in Adelaide’s House of Pain, anyone can fluff it. While they see more playing time and get more opportunities, sometimes leagues like the NBL – which is a smaller man’s league, a more mobile league – don’t quite fit the bill for NBA prospects. They underperform in the NBL because they sometimes don’t get the instruction/mentoring they need from NBA-level coaches, and they tend to get a little undisciplined. Adelaide did a good job of keeping the ball out of Ennis’ hands and frustrating Beal for much of the night. 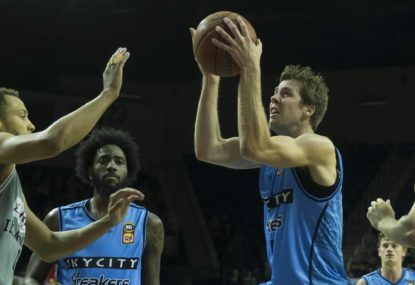 They needed to, because after having as big as a 15-point lead, brilliant Wildcats help out defence forced the 36ers away from their upbeat tempo. Adelaide coach Joey Wright knows how to win grand final series. He makes teams winners wherever he goes. The 36ers didn’t focus on one or two men scoring their points, they shared the load, and while Ervin’s 23 points was a standout, Dan Johnson (19 points) and Adam Gibson (18) have ‘prospect’ written all over them. They’re efficient within this league, they make the big shots, the free throws, get the crucial board – they do the little things well. Perth will need a lot more efficiency from Shaun Redhage, Tom Jervis, Greg Hire and Damian Martin if they are to match Adelaide’s personnel early in game 3 and set Ennis and Beal loose later down the stretch. 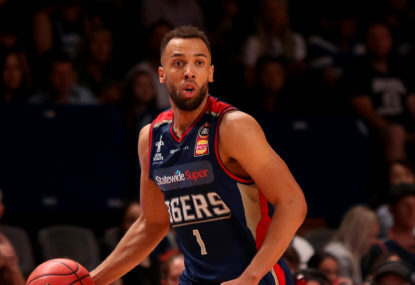 The Sydney Kings needed more size and rebounding, while the Adelaide 36ers needed a proven quality three man, with both clubs having signed Ray Turner and Demitrius Conger, respectively, in the hopes they are the final pieces of their NBL championship puzzles. 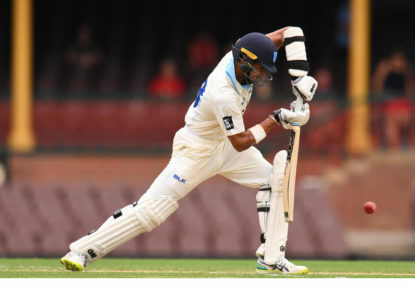 The Sydney Sixers say Sydney Thunders teenage batsman Jason Sangha could hold the key to their Big Bash League clash at Spotless Stadium. Brisbane import Lamar Patterson’s Australian journey has lurched off to a troublesome start ahead of his NBL team’s ten-point win against the 36ers.